I had a life-changing experience last Saturday in the form of a gigantic rock. 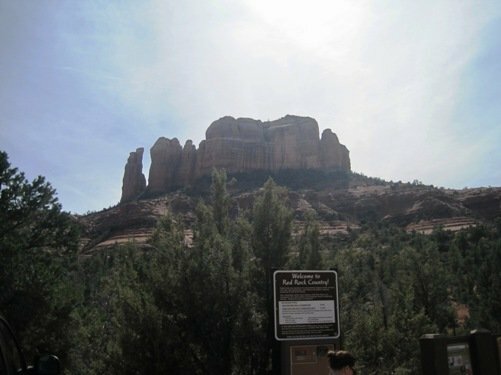 After traveling to Tucson, AZ to attend a wedding on Friday, the boyfriend and I, along with a friend, drove five hours to Sedona to hike up the face of a mountain. But it’s not just any mountain – it’s a massive conductor of energy and spiritual strength. 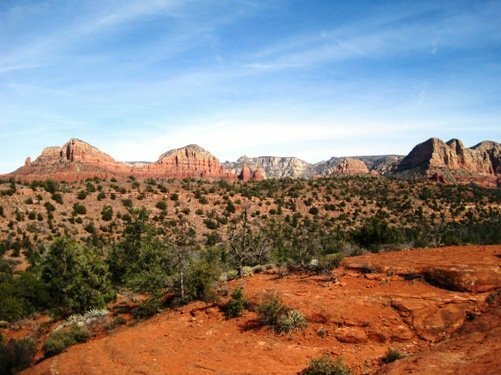 It’s also a mind-blowingly beautiful hike with awe inspiring views like nowhere else in the world. 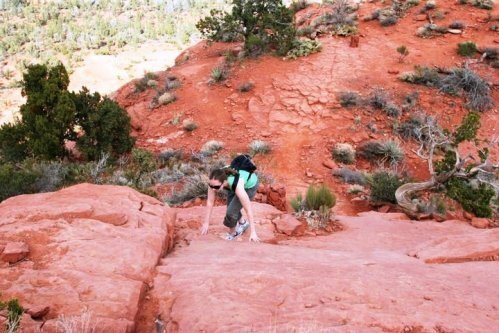 Upon first look, the hike up Cathedral Rock is a bit overwhelming, but once you get going it all falls into place. 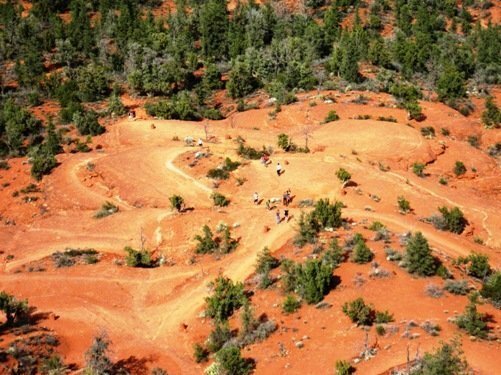 The invisible force of the energy vortex aides you in your journey up the steep incline. 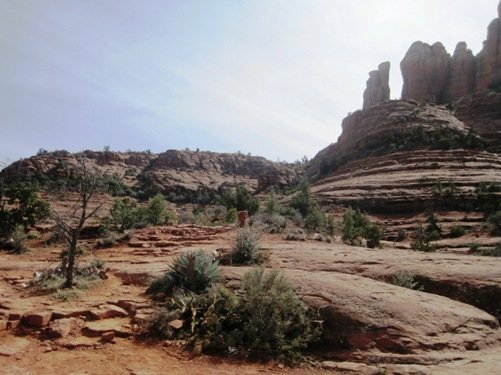 As you walk east along the creek toward Cathedral Rock, you will feel the energy getting stronger. 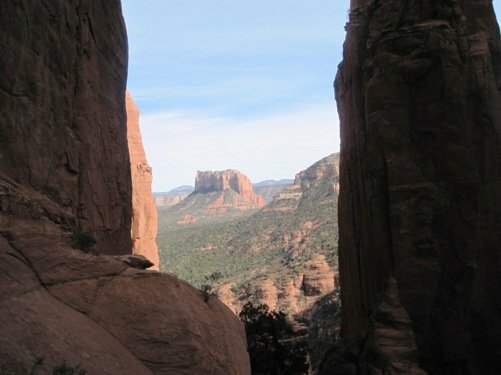 The strongest energy is where the creek is closest to Cathedral Rock. At this point, the spires of Cathedral Rock are hidden behind the cliffs on the other side of the creek. 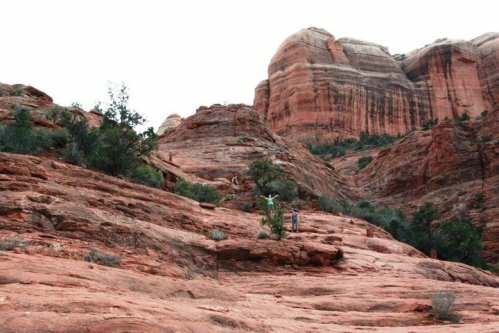 I must confess that when I first heard of the Sedona Energy Vortexes, I was a bit skeptical; excusing away the effects as sensitivity to altitude change and hallucinations. But as I drudged up Cathedral Rock, getting higher and higher, I noticed that each time we stopped to take pictures it got easier for me to catch my breath. The first time we stopped I thought I was going to die – I’m not going to lie, I could stand to be in better shape – but as we ascended the mountain I noticed it became less and less difficult for me to breathe. I don’t know if it has anything to do with the energy vortex, but I do know it was uplifting and positively great. 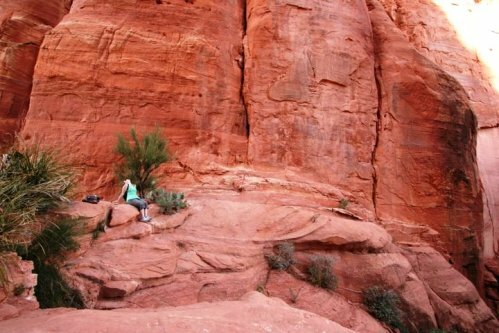 The energy at [the Cathedral Rock] vortex strengthens the feminine side. 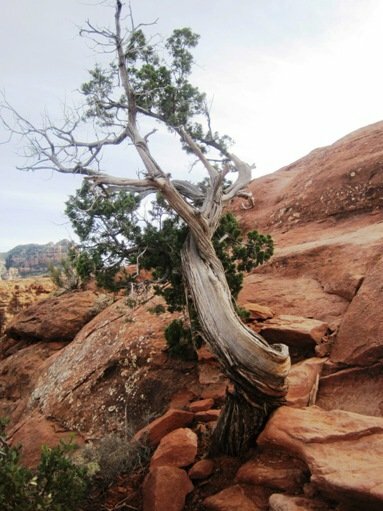 Juniper trees respond to the vortex energy in a physical way that reveals where this energy is strongest. The stronger the energy, the more of an axial twist the Juniper trees have in their branches. Instead of going straight down the branch, the lines of growth follow a slow helical spiral along the length of the branch. This spiraling effect can sometimes even bend the branch itself.